Iberia Academy Investigation - The Ozarks Paranormal Society- Investigating paranormal activity in the Ozarks and Beyond! 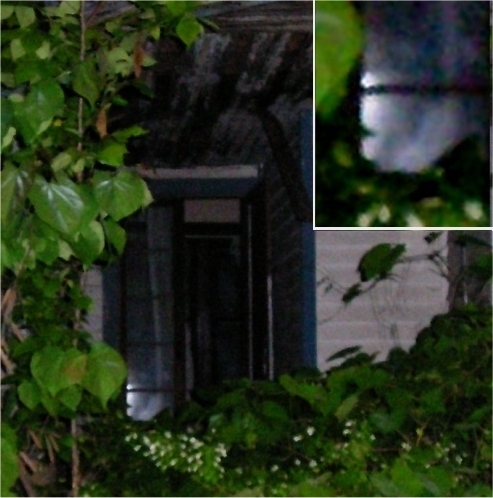 This photo looking into the front doorway of the slave house on the the Iberia Academy property was captured in complete darkness around 2: am May 23, 2010. 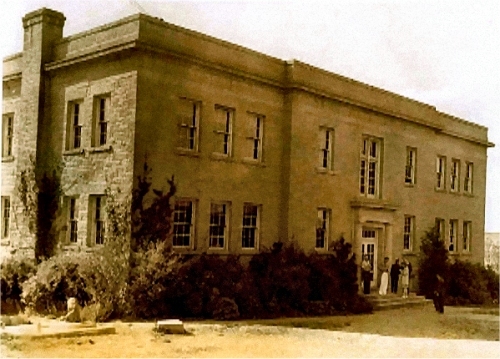 There was no one in the building at the time the photo was taken and the building has no electricity. We are still in the process of reviewing some of the evidence from this investigation. More evidence from this investigation will soon be posted for the general public to view. This information has been published with written permission from the property owner. Dave, Jessica, DeVonna, Josh V, Debra, Josh J, Manny, Beth, Jessica2 and Paul. Freddy, the property owner also participated in the investigation. Read the History of the Iberia Academy here. A fire in the main building on October 30th, 1917, was a complete loss. The academy walls are two feet of thick. Construction was done with men and mules. The last commencement was held in 1951. School records remain at the Drury College in Springfield, Missouri. The chapel still houses its square grand piano, class-room chalkboards remain with recent writings, and vintage laboratory apothecaries sit quietly; reminiscent of a past era. John was a slave. He and his wife had lived in the circa-1830 log cabin. The cabin was remodeled and enlarged for the Smith’s to live in when the academy began in 1890. The residence still stands, but is unsafe to enter. John’s master was “taking advantage” of the John’s wife. John then “took advantage” of the master’s wife. The master caught the two of them together. He killed his wife and her unborn child, the slave, and the slave’s wife. As the Iberia Academy, there were several deaths on the property, most from disease. There are many grave sites on the property as well. Below is some of the photo evidence that we captured during the Iberia Academy investigation. Click on a picture to see a larger version.